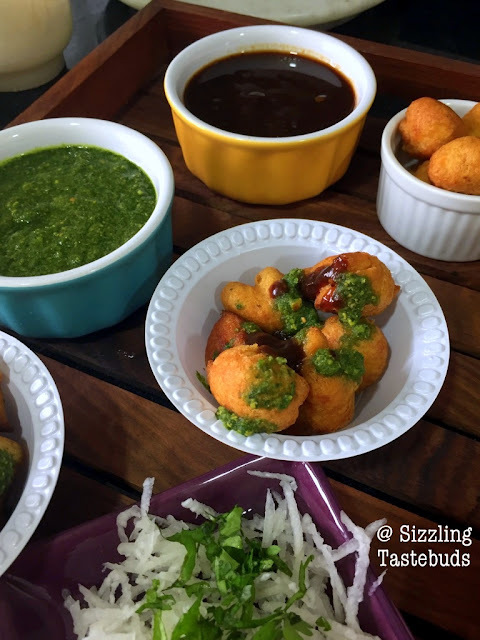 A ladoo that isnt sweet but savory, A Chaat / street food item : Ram ladoo a.k.a Gulgule was one of the first dishes i made for this BM ; having bookmarked from many websites, I loved the way it was presented with slivers of radish and some spicy tangy chutneys on top. 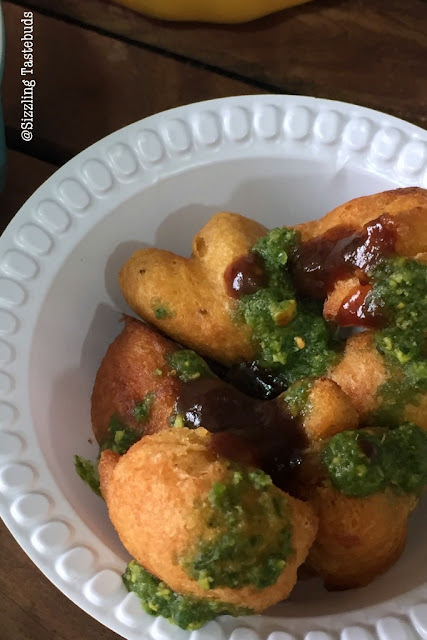 Of course the fact that my fellow BMers gorged on this street food delight during their delhi visit was another push for me to make this. We begin this week of the Mega Marathon with some snacks / appetisers. We hope you have been following our Marathon. Wash and soak the lentils for 2 hours. Drain and grind with all ingredients except soda, Oil and the toppings to a coarse paste. Beat the batter well, add the soda and mix again to a fluffy batter. Rest for 5 - 10 mins in the fridge, meanwhile heat the oil to fry. Beat the batter one last time, and with a wet spoon / wet hands, make small roundels and fry in the hot oil on medium flame till they turn golden brown. Plate 4-5 gulgule/pieces per plate. Top with the chutneys, cumin powder, a dash of lemon and grated radish. Top with coriander leaves and serve immediately. The gulgulas are a all time favourite with me , unfortunately the radish season deprives me from making these often . You are tempting me Kalyani , not fair . Trust me I am drooling over the ladoos . 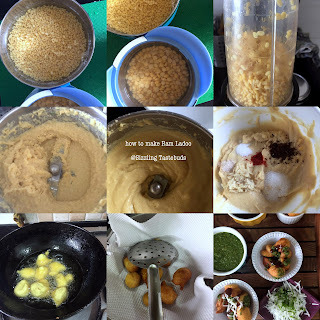 I am so familiar with the term ram Ladoo but never thought it is a savory version.. Thanks for en lighting me :)Such a healthy dish i gotta try it out soon..
You have taken me back to the Delhi meet Kalyani. Yes, they were so delicious!! Am drooling over your pic.. 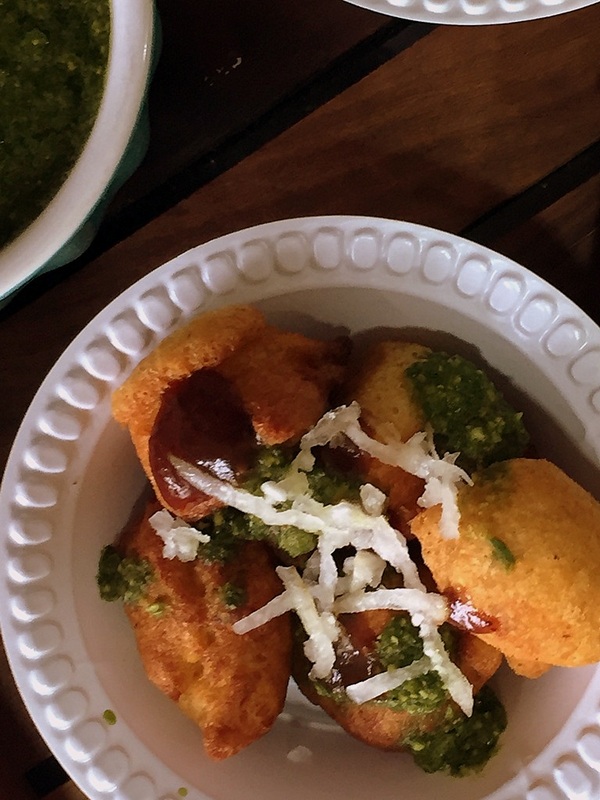 I still remember the taste of those delicious ram ladoo in Delhi. We had super fun tasting it. Yours looks so much like the ones we tasted. You are really tempting me now.. This is on my todo list for quite sometime now. Got to try this soon. Love the vegan option. Very nice. These have turned out exactly the same as I remember from our Delhi trip. Looks fabulous. An awesome pick for protein rich dishes. 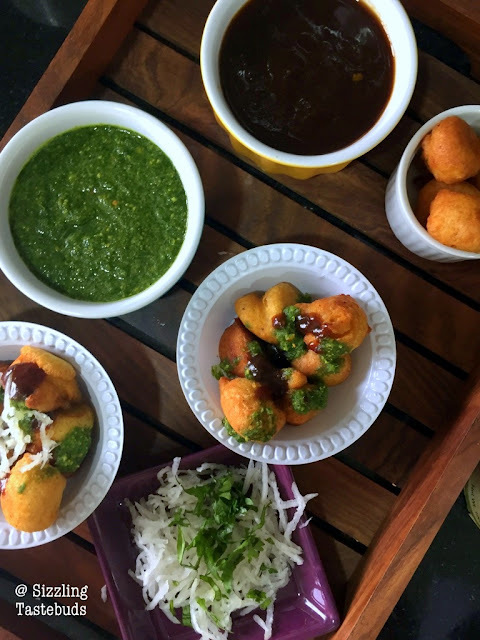 I just love this classic Delhi street food and your post is tempting me to make it again. Looks absolutely lip smacking!! Omg, those ram laddoo bowl makes me drool, havent tried my hands in making at home, simply irresistible. Cant wait to try soon at home. I've heard about this chaat from so many fellow bloggers. Since I'm not going to be in Delhi soon to taste it, I think I should make it myself at home. Different kind of chaat with radish on it. This has been in my to do list since long.Wanted to make this for the theme,but last minute changed my list.BTW ram ladoo looks so delicious,wish I could have this. Ram laddo looks very delicious. Nice protein rich snack to bite on in these rainy days. 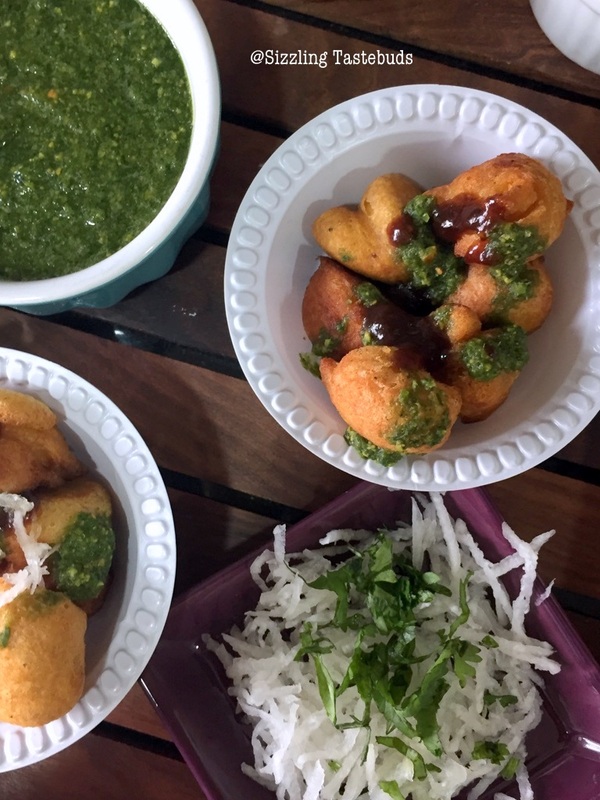 Snack looks amazing... love the toppinh specially green chutney and mooli. Thr correct way of presenting like delhi road side.